Here at Dial-an-MOT we offer a free car collection service, click below to find out more! Dial an MOT Southampton was set up about Eighteen years ago to provide a much needed service for the average busy person. We specialise in MOTs from Class 4, Car and Small Van MOT Southampton and surrounding areas. Choose us for all your MOT needs in Southampton. Dial an MOT Southampton offers free collection for Class 4, Car and Small Van MOT testing within a 15 mile radius of our garage in Southampton. We have noticed that some people are intimidated by bringing their cars to garages and feel uneasy about the whole experience. Others simply don’t have the time to bring their car to the garage and this is one of the reasons why we decided to collect the vehicles for their annual MOT test free of charge, within a fifteen-mile radius of our workshop in Southampton. We can collect from your home or workplace and the service usually takes about three hours from collection to return of a completed job (providing the car doesn't need much work.) The service is obviously subject to availability but the lead time is usually next day or sooner. We also provide free collection and delivery for car servicing and repairs if these cannot be completed at the same time. We offer MOT repairs in Southampton to make sure you pass your MOT test. We can deal with any repairs needed to enable your vehicle to pass the MOT test in Southampton. We offer this service regardless of whether we carried out the MOT test or not and we will be delighted to give you a no obligation quote prior to starting any work. Free MOT Retest with Dial an MOT Southampton. If your car happens to fail the MOT Test, we will offer a free retest at our garage in Southampton if we carry out the work, and half test fee if the work is carried out elsewhere within ten working days. Book all of our services online with our real-time online booking system. Take advantage of our incredible car servicing options in Southampton, simply select the service you require and get booked in using our easy to use, stress free online booking system. Remember you can book your car service in Southampton 24 hours a day, 7 days a week with Dial an MOT Southampton. 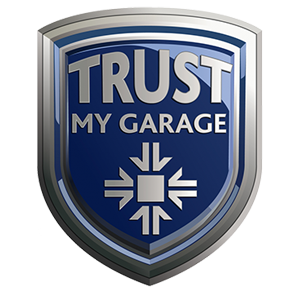 One-stop garage services at Dial an MOT Southampton. Twelve years ago we moved to bigger premises and we now offer a one stop service geared around the MOT and car servicing work. We fit tyres and exhausts while you wait and can provide, servicing, diagnostic checking using latest EOBD (European On Board Diagnostic) equipment as well as general mechanical repairs to most vehicles. Here at Dial an MOT Southampton, we can do it all. We fit catalytic converters to most makes and can offer emissions and related problem solving using our latest emissions analysers utilising Bluetooth technology. We offer vehicle repairs at Dial an MOT in Southampton. Steering, Suspension, Brakes and exhaust repairs are just a few of the repairs we can undertake at our garage, always offering the most competitive prices. Whatever your vehicle repair requirements, we will be delighted to help. Please do not hesitate to call us on 02380 332960 if you require a quote or further information.